Stunning drive through great scenery of rural Cambodia. Fun ride on the famous Bamboo Train. This morning, get picked up from your hotel and transfer to Battambang in your private vehicle. The journey provides great scenery of beautiful rural Cambodia. 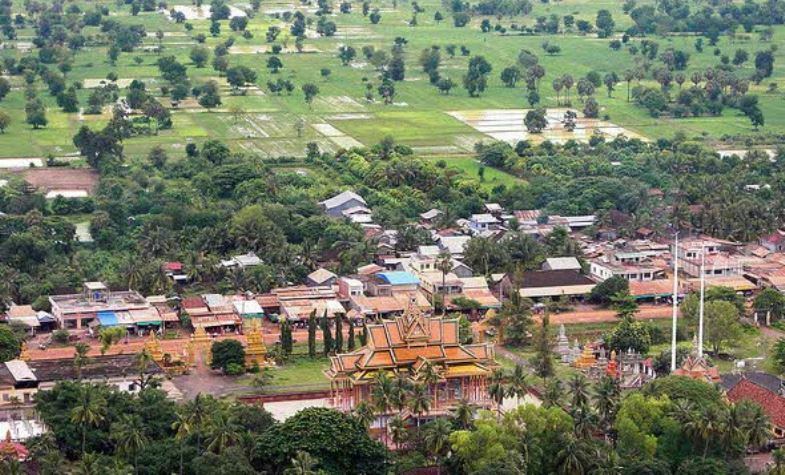 Situated by the Sangkae River, Battambang is the second most populous city of Cambodia. The city attracts people due to the many nearby ancient temples, Buddhist shrines and the famous bamboo railway as well as fading French colonial architecture. Even though Battambang is Cambodia’s second largest city, you will find that the atmosphere to be quite laid-back. This afternoon, spend your time to explore charming town with its mix characters of East and West. Overnight at a hotel in Battambang. This morning, after breakfast, get transferred to Phnom Sampeau. Take a short hike to visit the temple on the hill top. From here, you will have a fantastic view over the typical landscape of rural Cambodia with paddy fields, pagodas and sugar palm trees. Continue to Wat Banan, an ancient temple on the top of a mountain situated between lush paddy fields and beautiful lotus ponds. Travel through local villages and farms, taste the local seasonal fruits, wander around the ancient temple and enjoy great panoramic view of the area. You then take one of the highlights and a unique experience: A fun ride on the famous Bamboo Train. Called "norry" by the locals, the bamboo train is a unique and creative form of transport set up by the villagers that consists of a small motorcycle engine-powered bamboo platform riding on the railway tracks to transport goods and persons as there are no regular trains running any more. You will have a real life experience with a ride on this type of train through beautiful landscape and rice paddies. Free evening and overnight in hotel in Battambang. This morning, enjoy some time at leisure to relax or discover Battambang on your own until get transfer back to Siem Reap. If you wish to continue to Phnom Penh, please contact our travel consultants for detail.